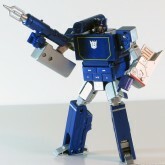 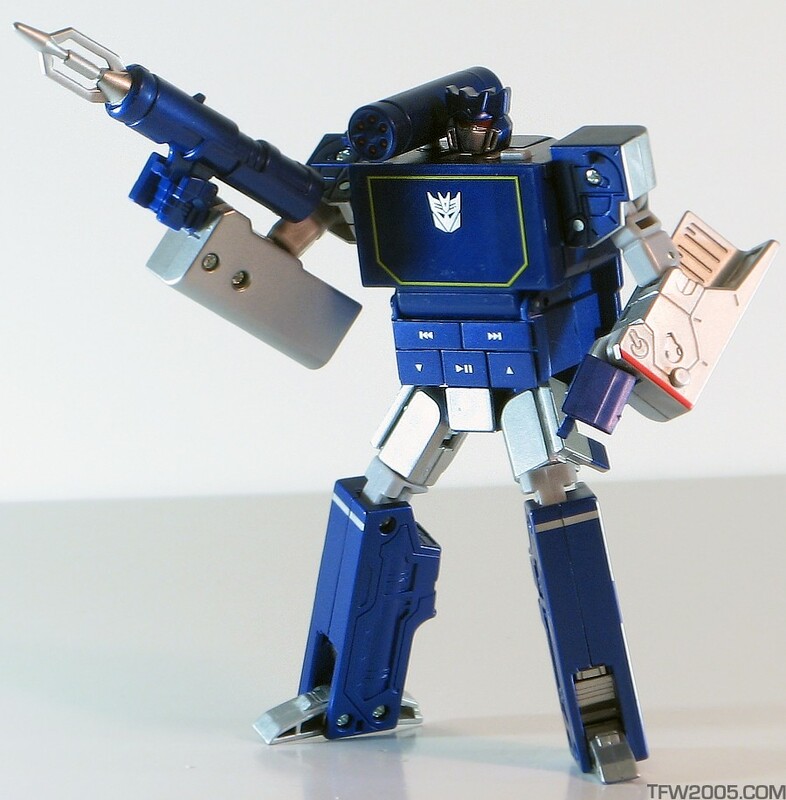 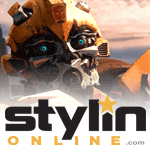 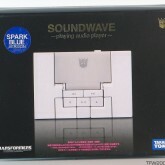 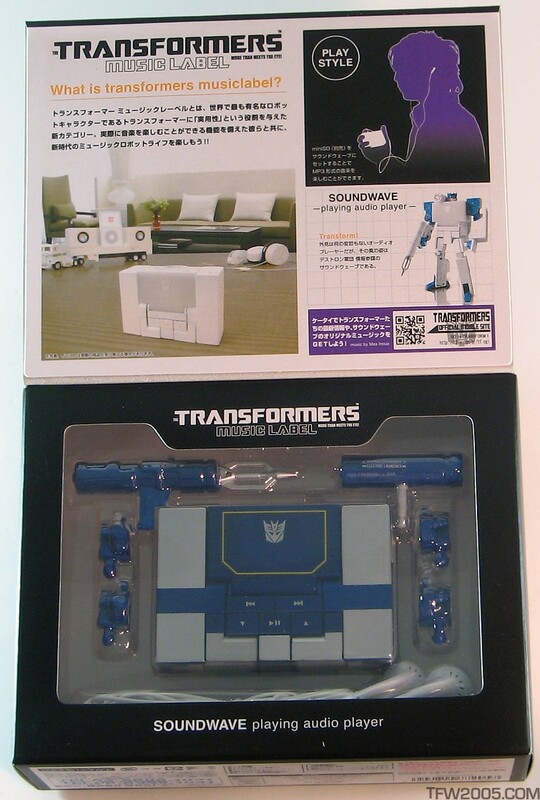 Soundwave (Spark Blue) toy information. 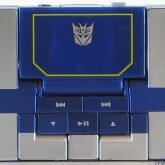 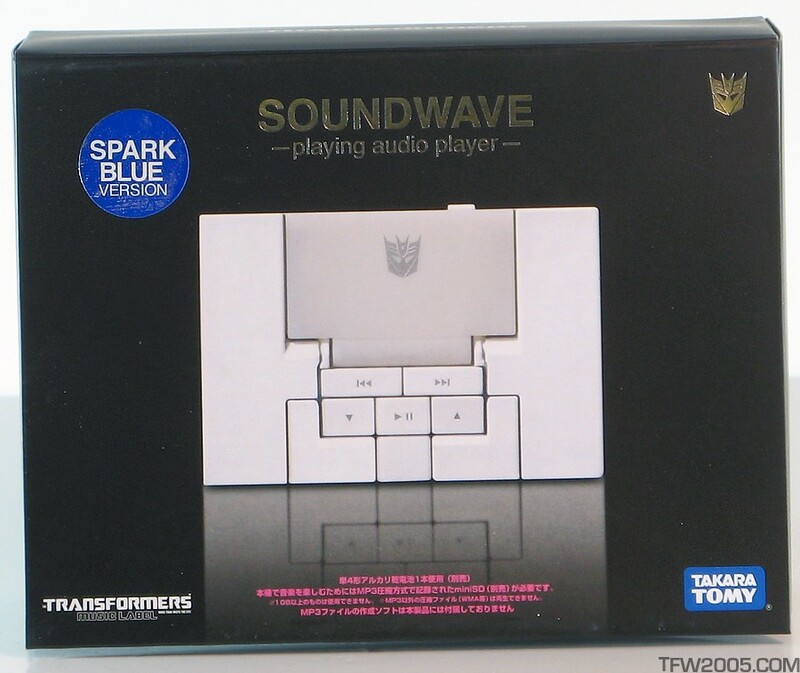 Soundwave (Spark Blue) parts information. 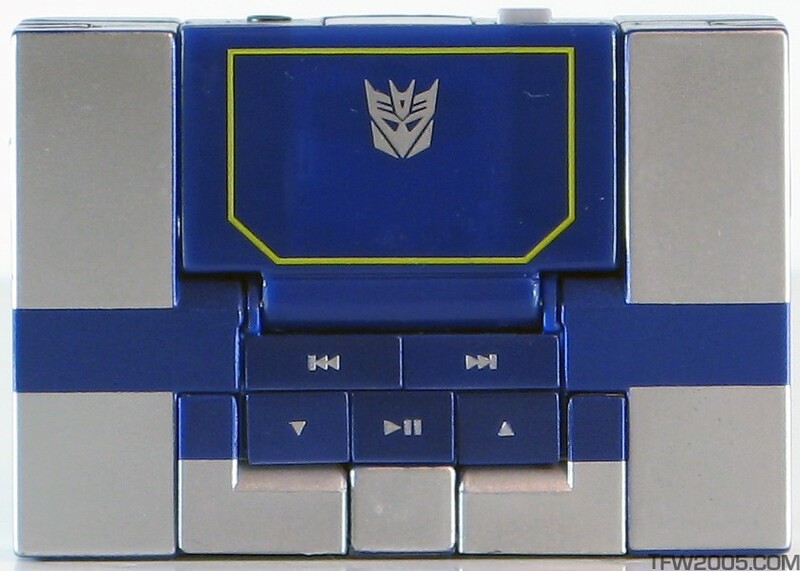 Came with 6 blue interchangeable hands: 2 fists (L & R), 2 gun hands (L & R), and 2 "Eject" hands (L & R). 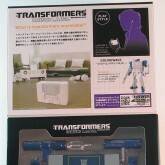 Also came with 1 blue rifle, 1 blue shoulder cannon and 1 white set of "ear bud"-style headphones.